Most of internet users are on Twitter including me and probably you have Twitter account as well. Twitter is owned by Twitter Inc., a social networking and micro blogging service, enabling its users to send and read messages called tweets. Lot of big company or famous people update their official status on Twitter as first statement. And others that followed will get the update as well. Twitter allow us to design our Twitter page. This will make our Twitter page unique than the others. And i got a great tools to design your Twitter page for free. So you open freetwitterdesigner.com and they have a flash application to help you to design your Twitter page. 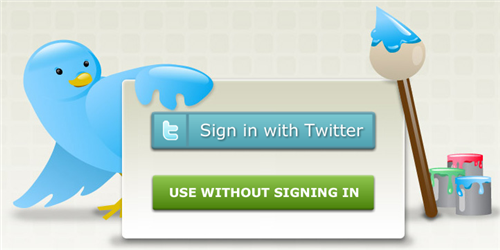 As soon as you visit the link and let the Flash full loaded, you will ask whether sign with your Twitter account or not. Then you need to choose Background image, there are some templates but if you want to use your own, choose blank. When you are done, press the button Generate Image at the bottom. And you will get your designed background image. Upload it to Twitter and change your background image.